Penama Province consists of three Islands: Pentecost, Ambae and Maewo. Each of the three Islands has natural attractions that are as memorable and unique as their culture. Despite their distinctiveness, the three islands share the same history and kastom stories. Their culture teaches people how they relate to the land, seas and one another. Takaro, Penama's ancient God, is believed to be the source of all wisdom in Penama province. Takaro has bestowed unto the Penama people great knowledge and understanding of humankind, morals and values, the land, the ocean and everything that lives in or on it. Penama's motto “where culture entwines with natures’ discovery”, is the perfect description of this magical place. Visitors are guaranteed a unique experience hosted by the friendly people of Penama. Some people will call it a cultural escape, we say it’s a place you could call home. According to legend, Pentecost Island is said to be the father land of Ambae and Maewo Island. Pentecost Island is best known for its world famous Nagol (Land Diving) - the world's first form of bungee jumping. This ritual occurs every year during the yam harvesting season from April-June, and sees men build a traditional tower constructed from locally sourced sticks and vines that can be more than 30 meters high. Selected young boys and men between the ages of 7 and 30 years old will take a leap of faith, jumping head first from different heights of the tower with carefully selected vines tied around their ankles. This ritual tests the jumpers' manhood and helps to ensure a bountiful yam harvest. Pentecost is also home of the first Prime Minister and the father of Independent Vanuatu, Father Lini. Visitors to Pentecost Island can also enjoy kastom village tours, snorkelling, diving with war plane wrecks, fish feeding activities and several epic waterfall and bat cave tours. In Penama kastom, Ambae is the Son of Pentecost and Maweo Islands. As the son, Ambeans always seem to have the best of the two Islands in terms of development and education. The parents love towards their son ensures that all of the parent’s treasured possessions is passed onto the son. Ambae Island is home to one of the seven active volcanoes in Vanuatu - Lake Manaro Volcano. The Lake Manaro Volcano sits around 3000 – 4000 feet above sea level. Accessing the volcano is quite a challenge taking a full day’s effort to get to the summit, but the stunning landscape and view definitely make it worth it! Kastom villages, game fishing, rock climbing, bike riding, camping by Lake Manaro, or a massage by the spring water can all be organized for visitors. Lolowai habour is serviced frequently by both domestic cargo vessels and yachts and Longana Airport receives Air Vanuatu flights everyday except on Fridays. Ambae Island is currently experiencing extreme volcanic activity. Due to this, Santo Travel is not prepared to advertise accommodation and tour providers at this point. We hope to be able to in the future, however, after Ambae and its residents have returned to a stable and prosperous condition. Maewo Island is the mother land of Pentecost and Ambae islands. As a mother, Maewo Island is rich in natural resources, delicious fresh produce and meat are always plentiful and are sometimes supplied to the Ambae markets. Maewo is famous for its use of Black Magic and traditional healing practices, which uses local flora. 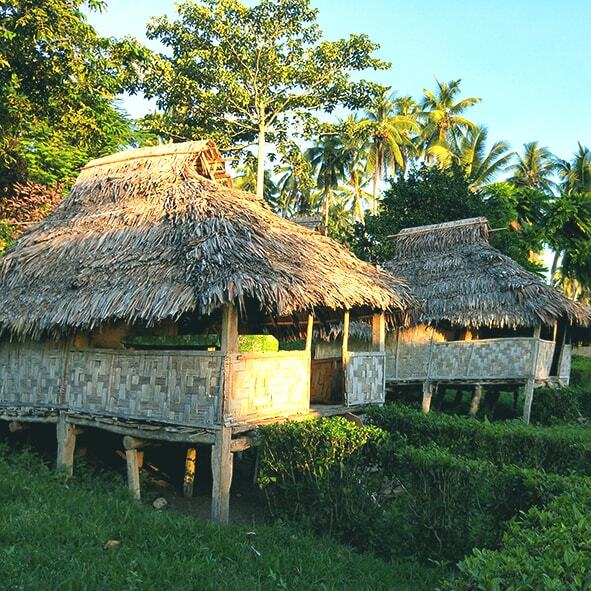 The people of Maewo are known to be humble, hardworking and very creative. From the south to the north, Maewo is full of rivers and waterfalls. Thanks to it's abundance of lush scenery, Ni-Vanuatu people often refer to Maewo as the ‘untouched of the untouched paradise’. Maewo is also home to Vanuatu's second tallest waterfall in Naone and offers some of the best anchorages for yachts year round. A Yacht club is located in Asanvary community, south Maewo. Other activities to explore during your visit include the Manga’s Underwater Cave, Bat Cave Tour, Moon Cave Tour, Lawai Waterfall and Bar, outrigger canoe fishing, snorkeling, pig Farming and water taro gardening to name a few. Women handicraft demonstrations and kastom dance performances can also be organized on arrival. A kids club is also available where children can be taught traditional Maewo songs and games for the day while the parents can go explore more further afield.